Independent Living, Personal Care, Engaging Activities and Programs. Quality living at an affordable price. Taking care of an aging loved one is not easy. Especially while being a parent – and working a full-time job. It’s overwhelming and exhausting, to say the least. You want the best for your loved one, but not quite sure what “best” looks like. You want them to be happy, but also safe. Timing is a factor – you don’t want to wait until transitioning is more difficult than need be and the choice of where to move is limited. Getting guidance from an experienced and trusted senior living community is the first step to getting balance and peace back into your life. Voted Best in Assisted Living in 2017 and 2019.
the benefits of chef-prepared meals, housekeeping services, security, and community. Perfect for residents that need additional assistance. Our licensed personal care unit is staffed 24/7 with highly trained healthcare professionals. Private or Semi-private rooms are designed to meet the unique needs of your loved one. 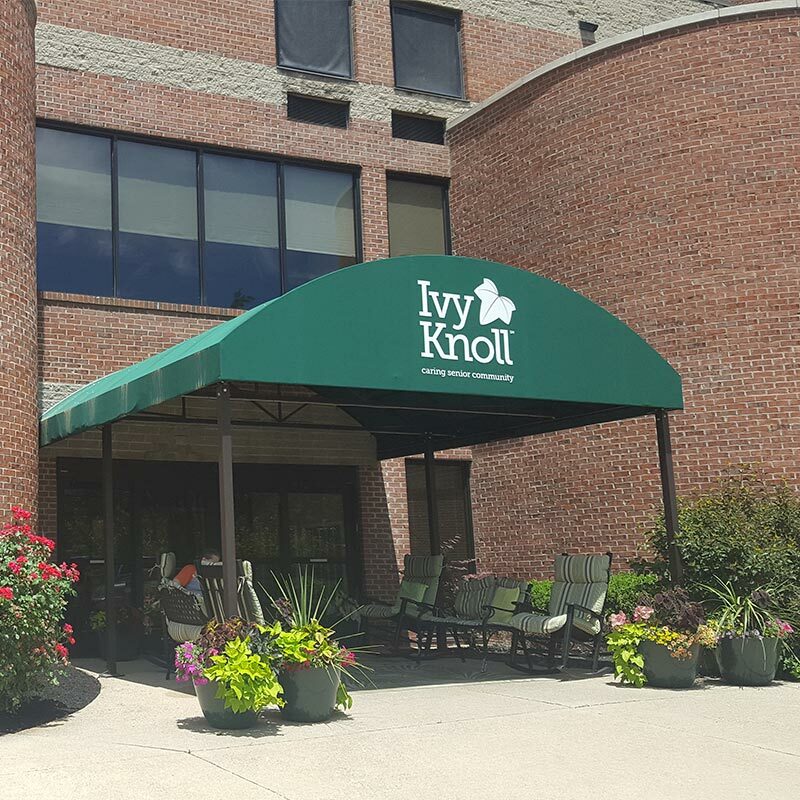 stimulating trips, programs, and entertainment create a daily sense of purpose for every resident at Ivy Knoll. 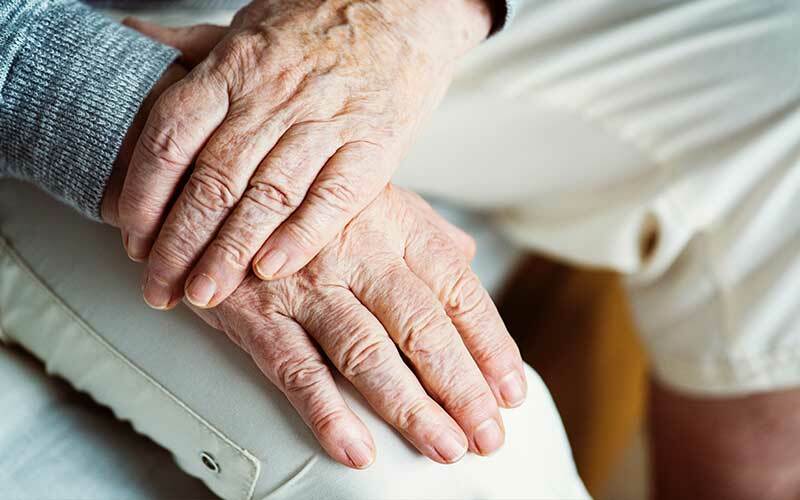 Short term, or respite stays provide temporary lodging and care for individuals seeking assistance whether unforeseen or planned circumstances arise. Short-term guests will enjoy staying in our open floor pan studio apartment and can take advantage of a variety of services, activities, and programs. 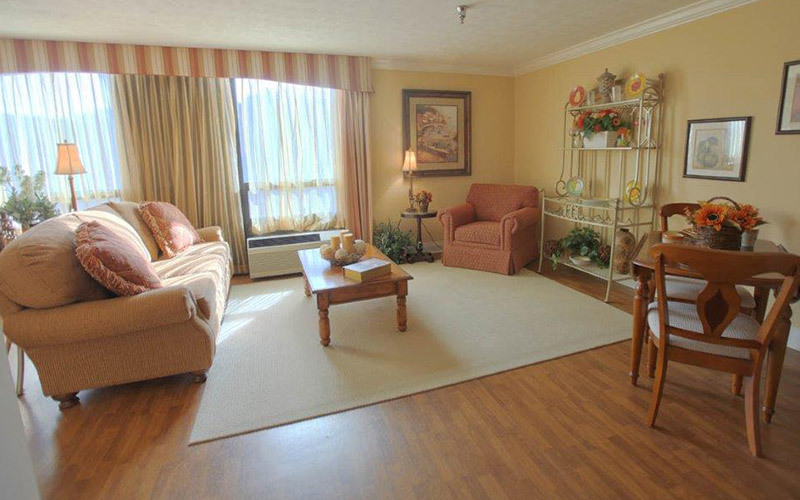 You have a lot of options when it comes to choosing a community for your loved one. Ivy Knoll sets itself apart from other senior community options in a variety of ways, but our main focus is service. We started with one question: How can we best serve our community? Our focus is centered on creating an experience with all the warmth and comforts of home, combined with the service experienced at a resort. We foster a culture of caring, connecting, and an energetic enthusiasm for living each day to the fullest. "The employees are always very friendly and helpful. The food is always wonderful and there's always plenty to eat. My brother's apartment is bigger and nicer than many hotels I've stayed in. I feel very comfortable knowing by brother is in good hands." Ready For Your Ivy Knoll Tour? You must see it to believe it. Schedule an appointment and find out what Ivy Knoll can do for your family. We would love to show you around. 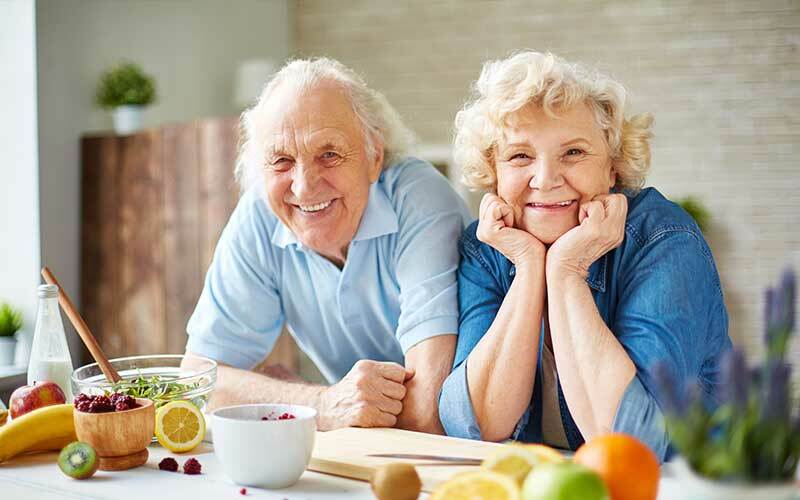 © Copyright 2019 Ivy Knoll Senior Living Community.